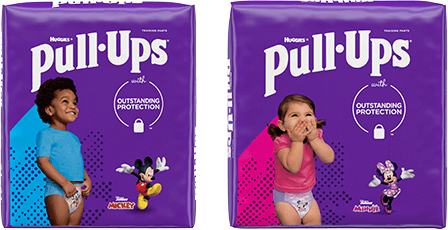 Learn all the essential potty training tips through expert articles, helpful tools and resources, as well as personalized lesson plans as part of the Pull-Ups® Potty Training Program. Not sure if your little one is ready to train? The following articles will help you determine when the right time may be to start potty training your child. Read personalized lesson plans on how to get started, along with how and when to introduce training pants to your little potty trainer. Discover how to get potty training back on track when dealing with bouts of regression. Our easy-to-use games and learning tools help add fun to the potty training process.